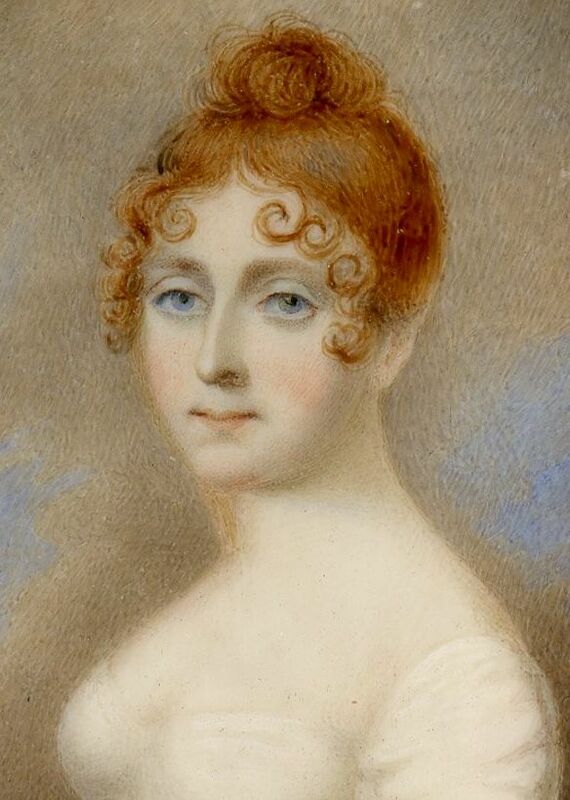 This young Regency lady looks rather striking with her auburn hair arranged in a knot on the top of her head with stylised curls framing her face. Her white empire line dress with its short narrow sleeves is typical of the period and lends her an elegance. 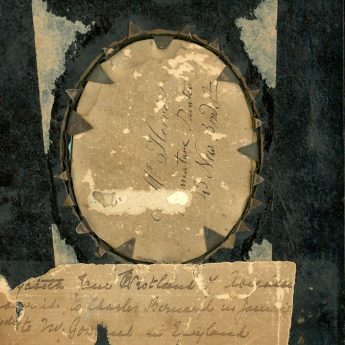 A hand-written label on the back of the frame names the lady as Elizabeth Jane Westland of Aberdeen who married Charles Bernard of Jamaica. Genealogical research reveals, however, that this marriage took place in St James, Jamaica in 1787. 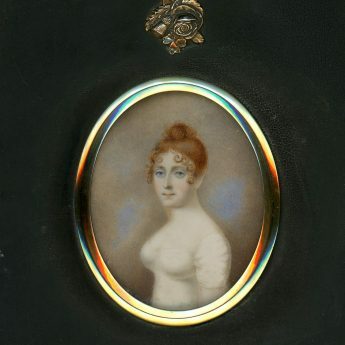 The couple had two children: Charles born in 1788 and Elizabeth Jane in 1789. 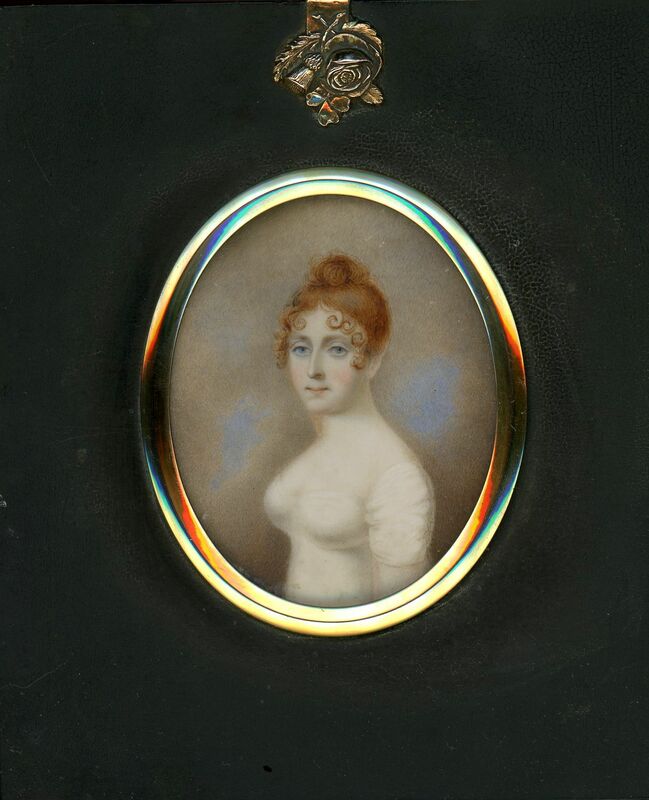 Given the young age of this sitter and the style of her dress, it seems more likely therefore that this portrait depicts Elizabeth Jane Bernard rather than her mother. 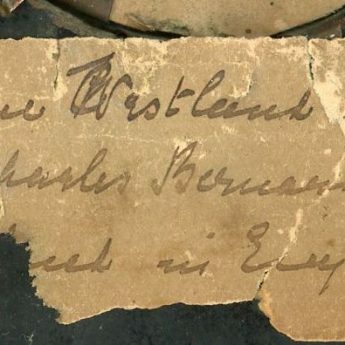 Charles Bernard Senior moved back to Bristol in 1797 where he died two years later. 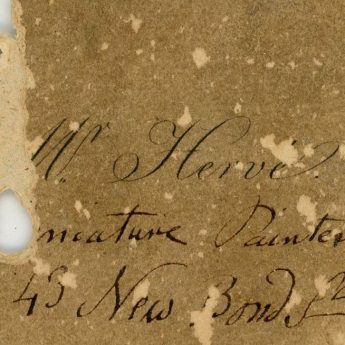 The portrait is backed with the artist’s trade card with a hand-written address – Mr Hervé / Miniature Painter / 43 New Bond St. The Hervé family produced many artists and profilists over three generations working and exhibiting from various London addresses. 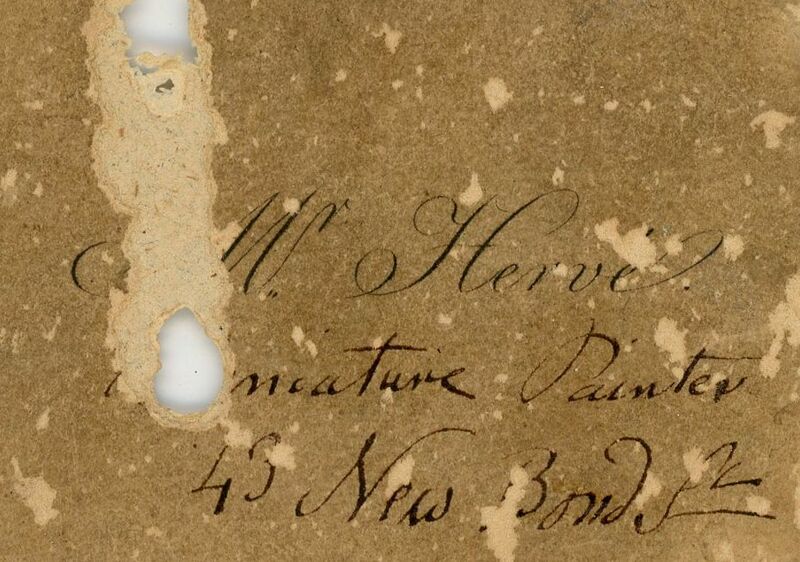 As the New Bond Street address is not though recorded amongst these addresses, it is difficult to say with any certainty which member of the family was the artist of this portrait. 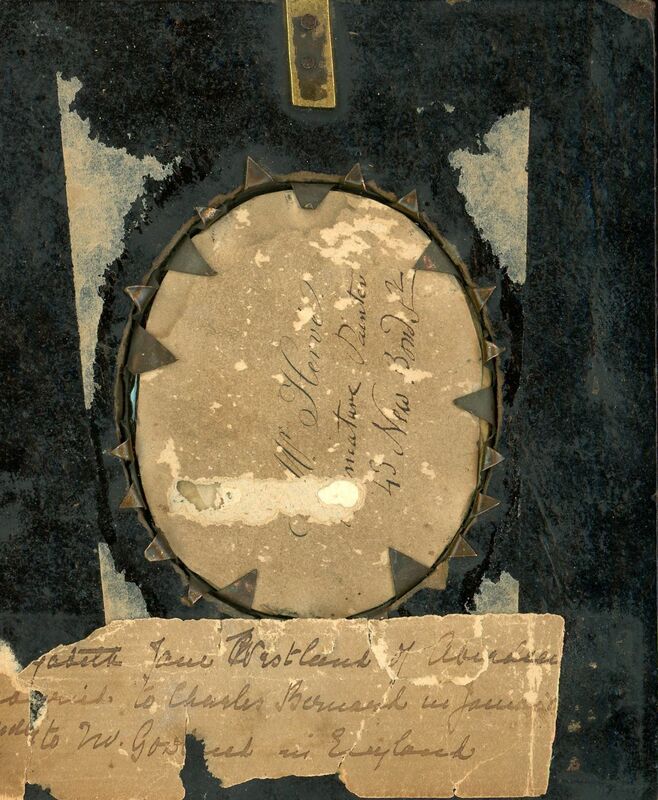 The portrait is set in a traditional papier-mâché frame with an emblems (rose, thistle and shamrock) hanger.